The blossom aroma of the pollen best comes into its own by mixing it to honey, fruit juices, sauces, yoghurt or muesli, but flower pollen can also be enjoyed pure. 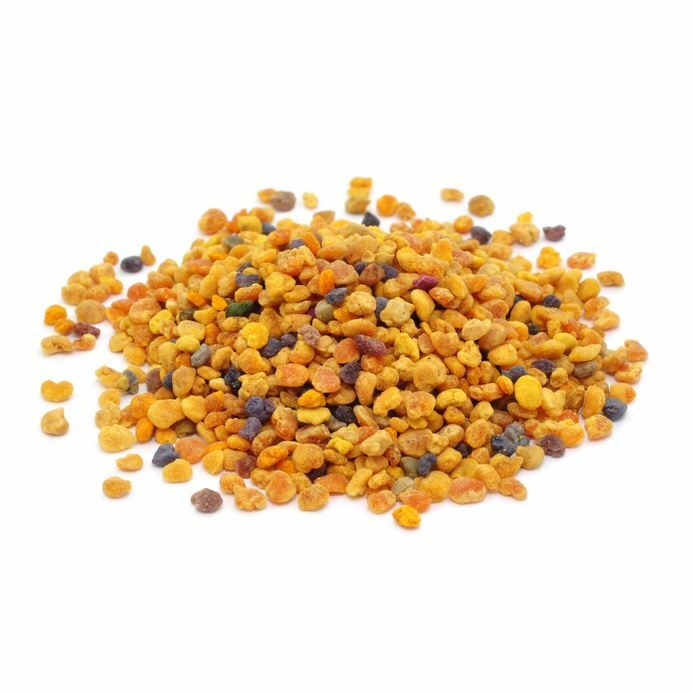 Flower pollen contain over 20 of the 22 known amino acids, almost all important vitamins and a high quantity of mineral nutrients. The male blossom dust that is to fertilise the female blossoms is called flower pollen. Usually bees transfer it from one blossom to another by carrying it in the pockets at the legs. Bees collect flower pollen mainly to grow their larvae, thereby flying to different blossoms. A part of the flower pollen of some bee colonies is stripped at the entrance hole of the hive by pollen traps, cleaned, dried, and offered as food supplement.